With email now the most common means of staying in touch, we often find ourselves swamped by the volume of messages received within the day. At their computers, users are engaged in any number of activities, email being something that many prefer to check on only occasionally. For most email accounts, checking on the receipt of a new message requires you to open a web browser and log into your account. But one email service has introduced a neat application that makes it easier to keep track of new messages. 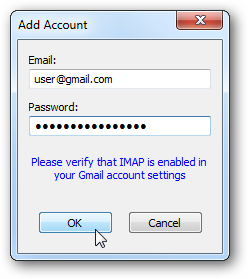 Fast on its way to becoming the most popular solution for free email, Google’s Gmail continues to be the beneficiary of new updates that enhance its functionality.One such addition to its impressive list of features is a tool that notifies you of new messages even when you’re logged out of your account. 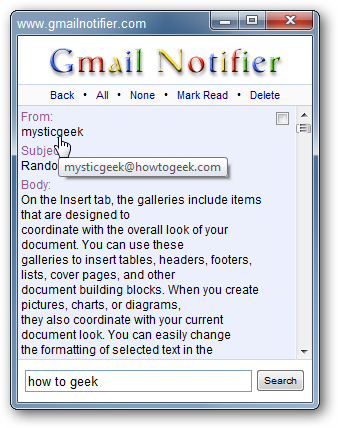 Seamlessly running in the background, Gmail Notifier alerts you whenever a new message has been received. You will then be prompted to sign into your account. 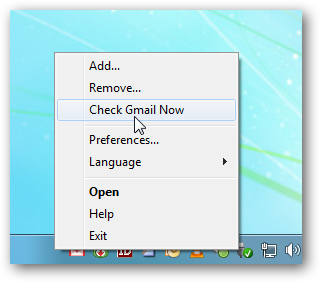 After you’ve logged in, Gmail Notifier remains in the background, occupying only your taskbar. Right-clicking on the icon will bring up a list of options. 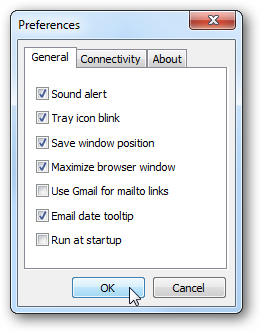 For instance, when selecting preferences, you can configure how you would like the tool to notify you. 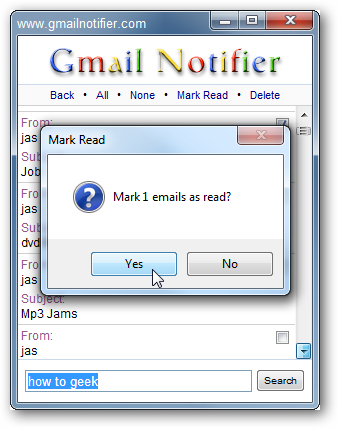 Providing much of the same functionality you’ll find when logged into your actual account, the notifier allows you to manage your email — read message, delete message, mark as read, etc. 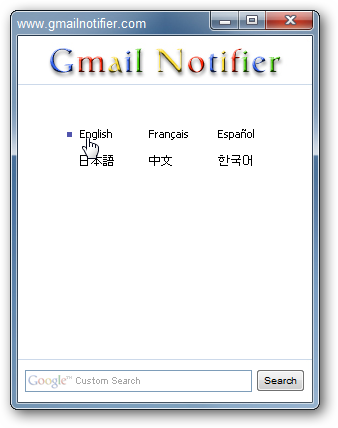 Coming from the ingenious minds at Google, Gmail Notifier is a convenient and free tool that mitigates what can become an annoying routine.